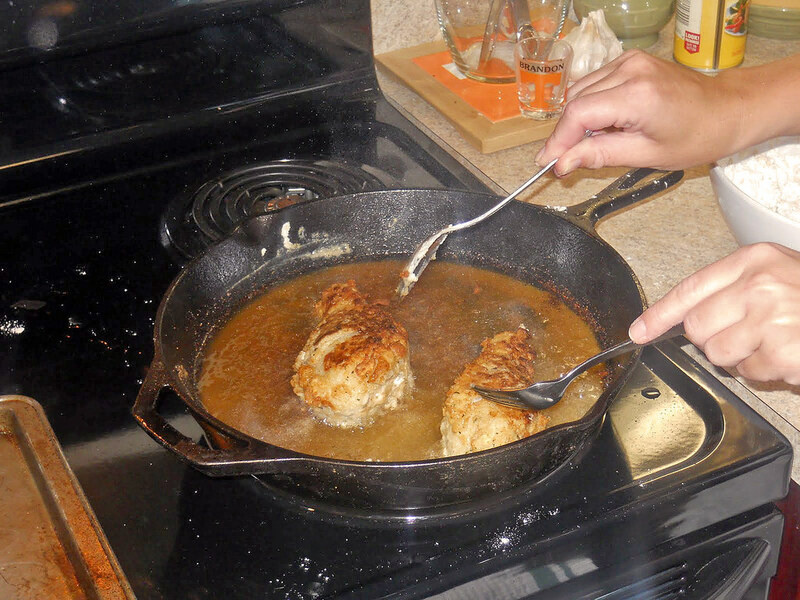 Sometimes I daydream about all the things I could possibly cook in my cast iron skillet. 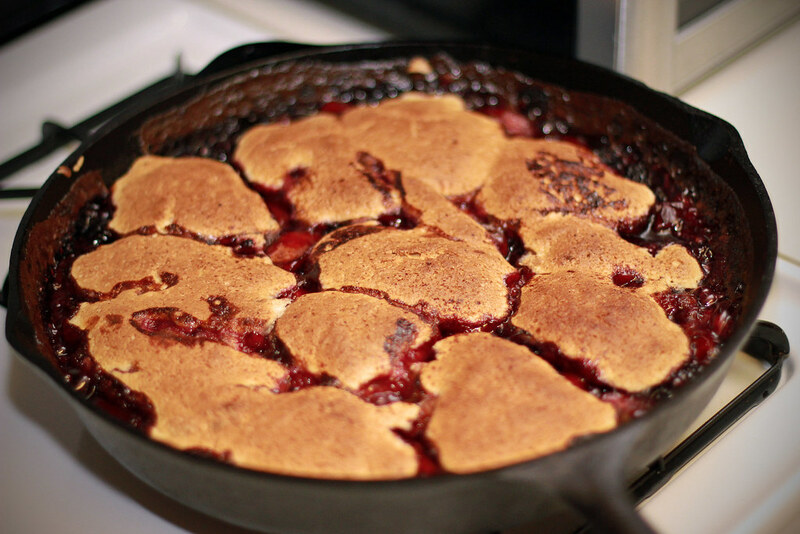 The one dish that I’ve battled with and lost a cast iron skillet to is cast iron Peach Berry Cobbler. It’s the one dessert that I love to eat, but have feared trying to make, that I haven’t revisted this recipe in over 3 years. This time around I’m bringing my brand new recipe and my grandmother’s guaranteed nonstick cast iron skillet, to finally conquer a Bourbon Soaked Peach Berry Cobbler with a Molasses Biscuit Crust. I’m not sure how your summer’s been, but the staff of The Hungry Southerner has been roasting! After several days of temperatures in the 90’s, a cool white wine is a great way to beat the heat on a warm summer night. We’ve got two great options that are light, crisp and refreshing. The first is a Sauvignon Blanc from Cupcake Vineyards, recommended by one of our readers back in May. Thanks Kevin! 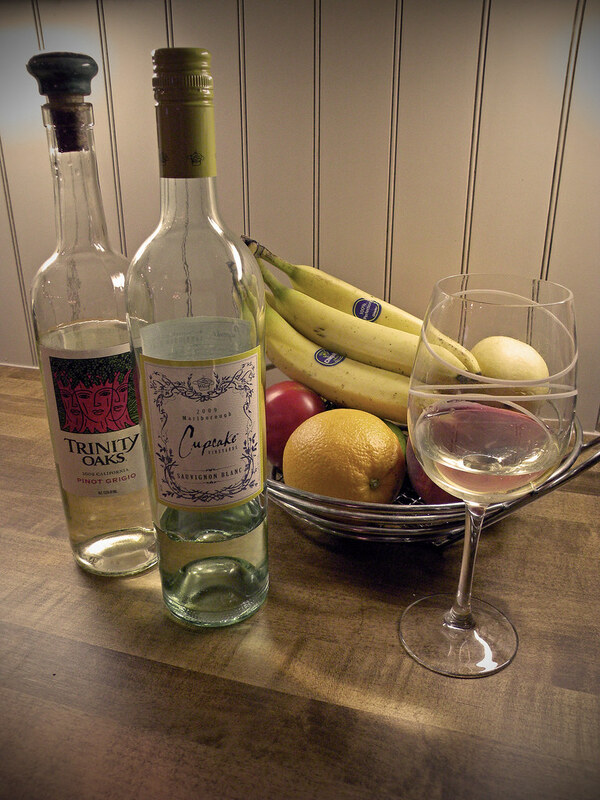 The second is a Trinty Oaks Pinot Grigio. 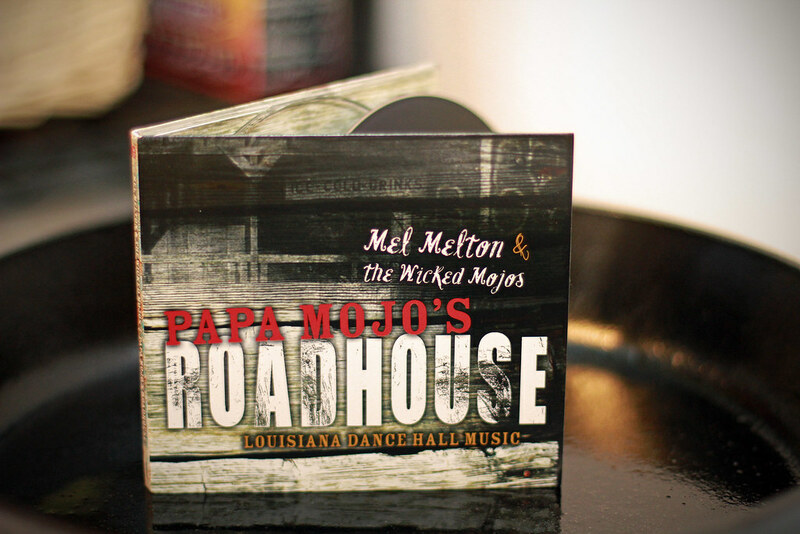 Give them both a try and let us know your favorite. It’s no secret that we’re huge fans of Phickles Pickles, thanks to Garden & Gun so are a lot of you as well. Angie and Phin Tillman have started a small Southern business with big flavor and fresh, local, ingredients. You can’t help but love what Phickles is doing, how they made it a family business and the importance on quality that they put into every jar. Phickles Pickles is definitely keeping it Fresh, Local, Sustainable and producing some fine Southern food. Stay Hungry Y’all! Though Spring seems like a distant memory, the heat has caused me to seek out something light and fresh from the Southern garden. I’ve managed to find some really great watermelons this season and I was inspired by a delicious dinner to make a cool summer salad. I’m new to this whole salad game, since I’m the carnivore of the group, but the fresh, cool flavor of the watermelon and the zip of red onion was too good to pass up. 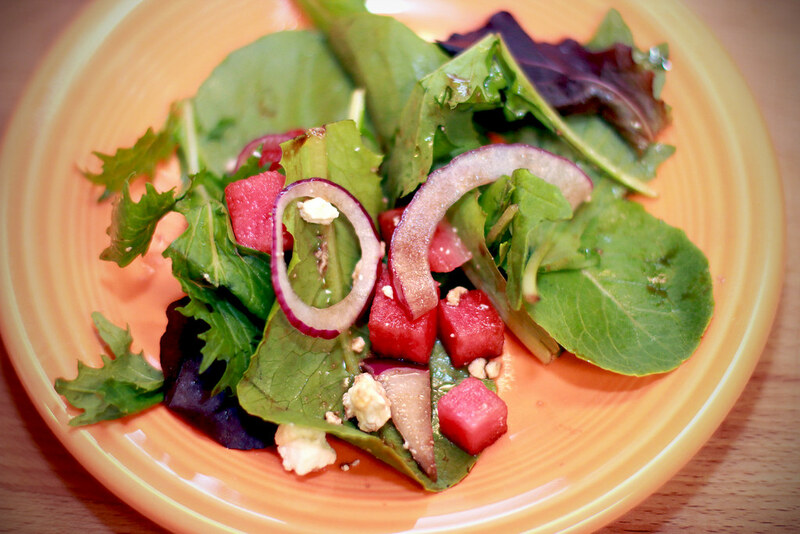 I give you my Southern fresh Watermelon Spring Salad to take the edge off this heat.